Et in Arcadia ego. 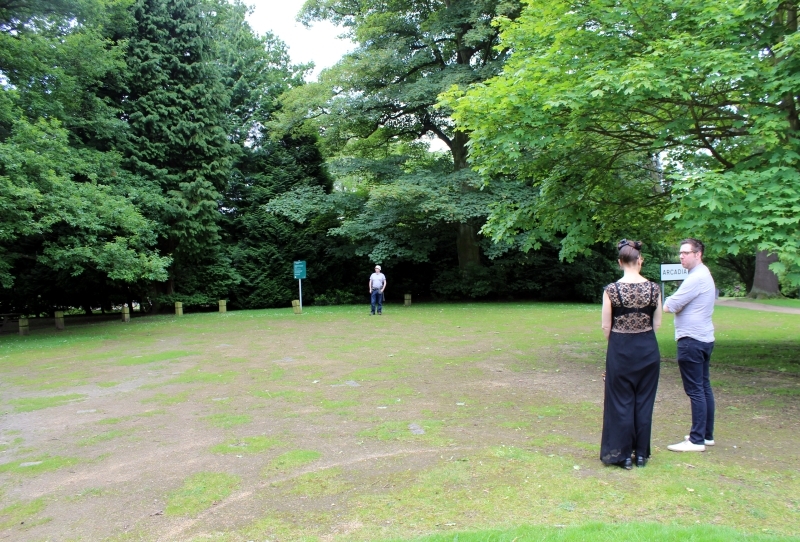 From left to right: Andy, Hester and Damon check out the location for Ymedaca’s climactic event. Andy and I were up at the relative crack of dawn to travel to the Yorkshire Sculpture Park to discuss a few burning issues with artist Hester Reeve and the YSP’s Damon Waldock. We needed to sort out locations for the Ymedaca events the Magick Lounge group is involved in, and agree on the route for the procession to the climactic presentation on 30 August 2014. 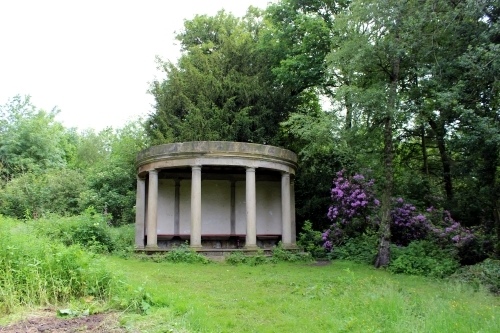 During the day of 30 August ‘Magickal’ experiences will be available to YSP visitors appropriately in and around the ‘Greek Temple’. Afterwards we were able to fit in a visit to the Park’s newly refurbished 18th century chapel which currently houses a stunning exhibition of works by Chinese artist Ai Weiwei. The project is the first by Ai Weiwei in a British public gallery since ‘Sunflower Seeds’ at Tate Modern in 2010, and is well worth experiencing. More information here.